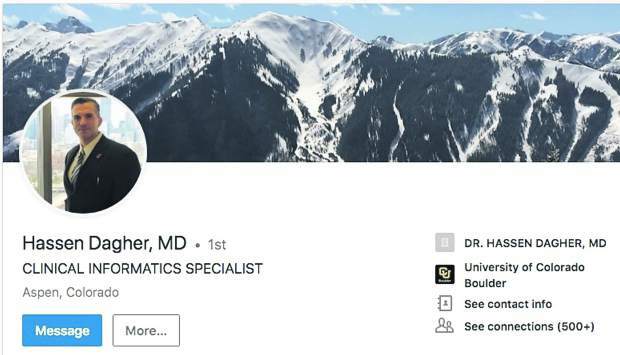 ASPEN ” Skiers who work up their appetite taking turns on the west side of Aspen Mountain this winter won’t be able to satisfy their hunger at Ruthie’s restaurant, which will be shuttered for its seventh straight season. There are no plans to reopen the defunct restaurant, which Gwyn Knowlton last operated. She called it quits in 2001, right after the 9/11 terrorist attacks. The Aspen Skiing Co. owns the restaurant, at the bottom of Ruthie’s Run. Skico’s senior vice president, David Perry, said it doesn’t make economic sense to open the eatery on a mountain that sees only 300,000 skier visits a year. Skico officials are hoping that eventual development at the base of Ajax’s west side will increase skier visits, and Ruthie’s can reopen one day. The Skico owns and operates the majority of the restaurants at its four ski areas. Those privately operated include Bonnie’s on Ajax, and High Alpine, the Ullrhof, and Cafe Suzanne at Snowmass. Skico owns the buildings and leases them to the operators. Bonnie’s and Cafe Suzanne have short-term leases while the Ullrhof and High Alpine have long-term leases. George Gordon, who has owned and operated High Alpine for nearly three decades, said it’s increasingly difficult to run the restaurant at a profit. The restaurant industry sees low return on profits already, and factoring in increased costs of labor, transporting goods to 10,000 feet and high rent, Gordon said the good old days of the 1980s and ’90s are over. In the past five years, Gordon has barely broken even. “There’s a reluctance to raise prices,” he said. “I mean, how much can you charge for a hamburger? “We try every single way to increase sales without raising the prices,” Gordon said, adding that he’s expanded the retail shop in the back of the building as a way to generate more revenue. 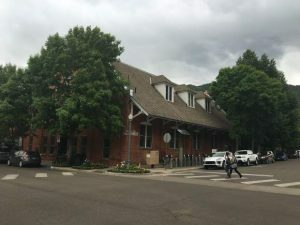 Gordon said the biggest factor contributing to increased business costs are a lack of employees and housing, which is what businesses throughout the Roaring Fork Valley have been experiencing for more than a decade. At the peak of High Alpine’s operation, Gordon employs 85 people, 15 to 20 percent of whom are returning employees. 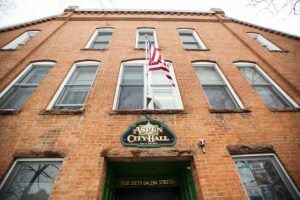 Gordon also said last year’s rent increase ” the Skico collects 16 percent of High Alpine’s gross sales ” has eaten away at his bottom line. But he said the Skico has been a good landlord despite the rent increase. “They’ve been an extraordinarily fair landlord,” he said. Perry said the Skico has no plans to take over High Alpine or the Ullrhof, which an out-of-town businessman, Paul Branch, recently purchased. Both eateries have 10-year leases with options to renew. Longtime resident Brigette Birrfelder owns and operates Bonnie’s on Ajax. That lease is year-to-year with the Skico. It’s a different story for Cafe Suzanne, next to the top of the Two Creeks chairlift on the east side of Snowmass. That business will be shuttered when the Skico builds a new restaurant at the top of the Elk Camp lift, expected to be ready for the 2009-10 season. While the Skico has no intentions of taking over privately owned restaurants at the ski areas, it does plan to get more involved in food and beverage operations. The Skico already has a foothold in the food and beverage industry with operations at The Little Nell and the Snowmass Club. Perry said taking more on the mountains is a natural progression. “We are looking to operate more as we build them,” Perry said. “As time marches on, there are opportunities to become more involved in all aspects of the customer experience, and we have a strong vested interest that the food and service meets their needs. Skico will operate the new Sam’s Knob restaurant when it opens next winter. It’s three years overdue, and visitors have been in a state of eager anticipation since it’s the only restaurant operation on Snowmass’ west side. It was slated to open for the 2007-08 season. A few years ago, the old restaurant was torn down to make way for two new chairlifts. Skico designed a new facility and took it to the Forest Service for approval, since the building footprint is on government land. The Forest Service shot it down and created a book of guidelines that the Skico would have to follow. The Skico redesigned the building, which gained the approval of the Forest Service and the Snowmass Town Council, which pushed for a more timely opening. “We certainly regretted not getting it ready for this winter,” Perry said, adding that when it’s finished, Sam’s Knob restaurant will accommodate 160 people, with seating on the deck for 75. In the meantime, the Skico will erect a yurt to act as a temporary facility. There will be about 30 seats inside and 40 outside. A limited menu of soups and sandwiches will be offered, and possibly an outdoor grill on sunny days. The yurt isn’t the only culinary change happening this year. The Merry Go Round at Aspen Highlands has gotten a makeover with new furniture and a new menu. 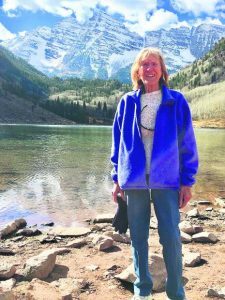 “We’re testing the market on the organic and hormone-free products,” said Lynda Edwards, the Skico’s director of food and beverage at on-mountain restaurants. The Merry Go Round’s chef, Lee Solomon, will create several organic offerings on the menu, making it the first on-mountain restaurant with such choices. 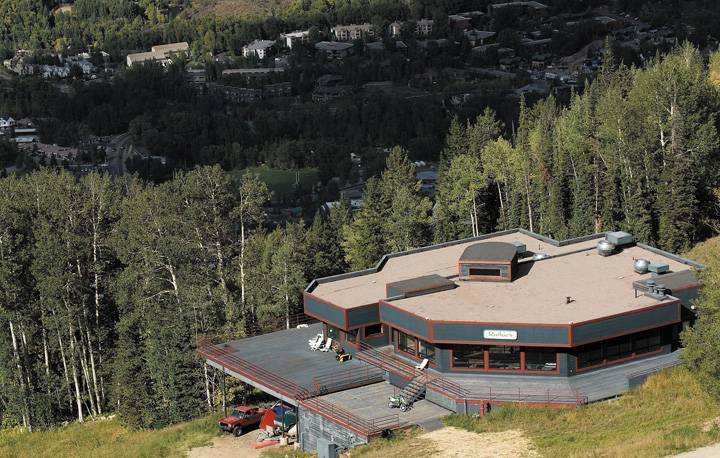 Edwards said the Skico will heavily market the Cliffhouse on top of Buttermilk, which is known for its Mongolian barbecue. Skico officials also point to newly renovated bathrooms in the building as a bonus.